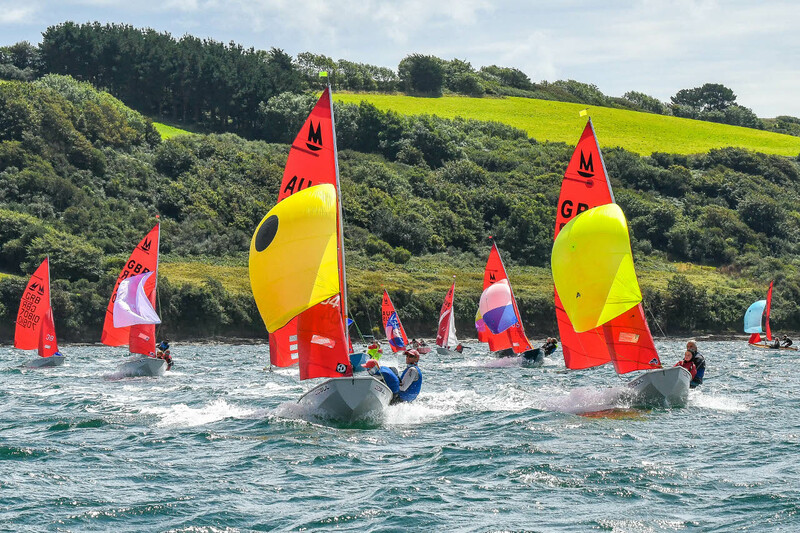 What a fantastic event, two Mirror championships back-to-back, 51 entries in each event, 6 countries sailing in the Worlds & all happening on the beautiful sailing waters of the Carrick Roads, near Falmouth, with some typically varied Cornish weather and lots of wind. 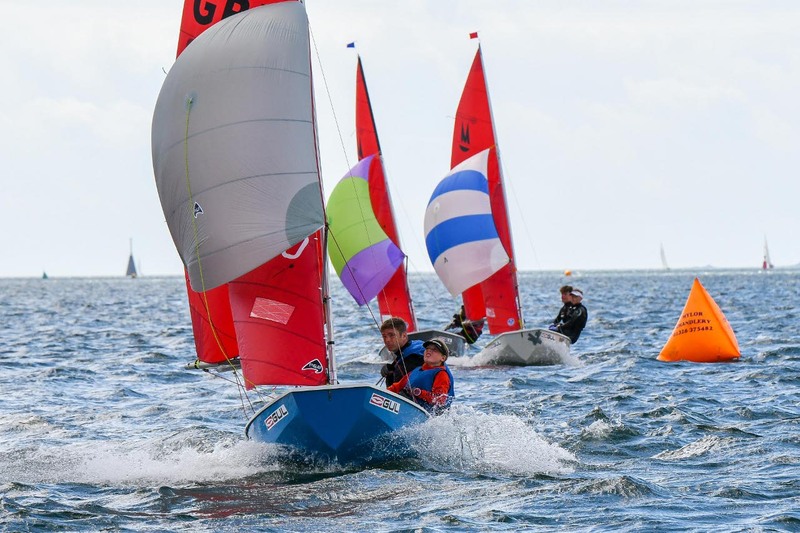 Competitors ages ranged from 6 to 78, 75% of the competitors were children, and the top 3 boats in each event was sailed by a parent & offspring with the youngster crewing, showing once again what a great little boat the Mirror is for introducing children into sailing and racing. 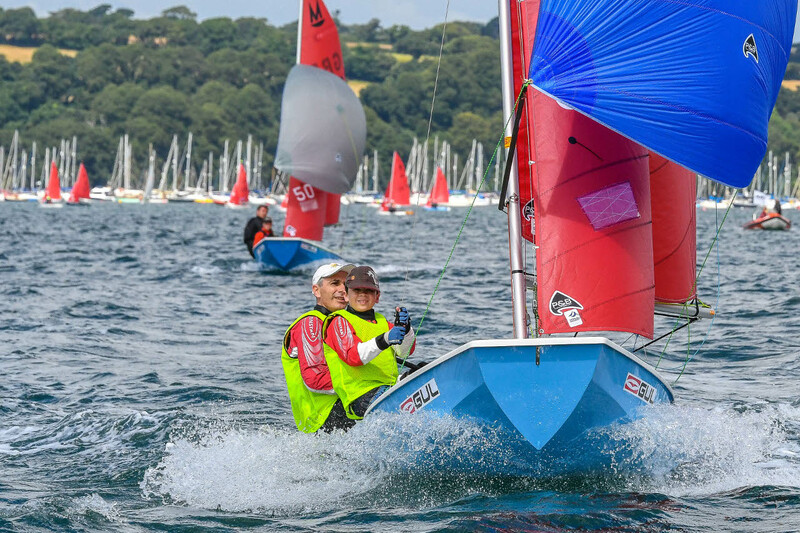 Day 5 of the Gul Mirror Worlds, only one more race and the Cornish weather was a bit more like it with a moderate, but shifty wind and sunny intervals. 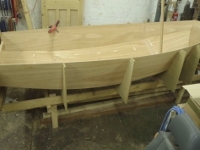 The first attempt at getting Race 12 away failed when, with about 2 minutes to go, a large hole developed near the Committee Boat, and the wind picked up & shifted hard left at the pin end. The cornish weather served up sunshine and, early on, showers with a strong, gusty westerly wind for Day 4. With only 3 races remaining, the Race Committee decided on two today, leaving one for tomorrow. Race 10 got away cleanly under a 'P' flag and using a triangle-sausage-triangle course (harrah!). The strong gusty wind and a bit of a chop made for conditions that were less than comfortable for some in the fleet. The spinnaker reaches were very exciting and even some of the heavier crews who chose to fly spinnakers lost out when they lost control in a mega-gust. Some Mirror sailors, camped on the hill top at Tregunwith Farm reported that the worst of the storm appeared to have passed during the night with several tents blown away. So far from being cancalled, it was 'chocks away' at Restronguet SC for another three races in the Gul Mirror Worlds. The storm might have passed, but the mizzle hadn't and it rained all day, not stopping until evening. Race 7 kicked off in a 3-4 south south westerly with a bit of swell and using a triangle-sausage-triangle course (harrah!). With the tide still flooding, and the windward mark up towards North Bank, judging the lay line to the windward mark proved tricky. 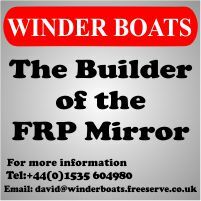 The wind started off a bit lighter for Day 2 of the Gul Mirror Worlds, force 2-3 from the southwest and with the tide coming towards the end of the flood. Race 4 was run using a triange-sausage course, with the windward mark near North Bank. 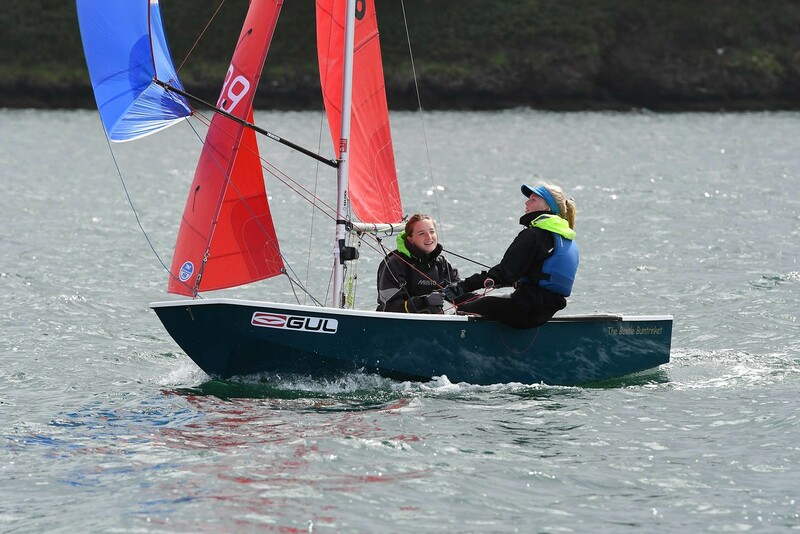 Once again with bright sunshine & some breeze, competitors enjoyed some fantastic conditions in the Carrick Roads.